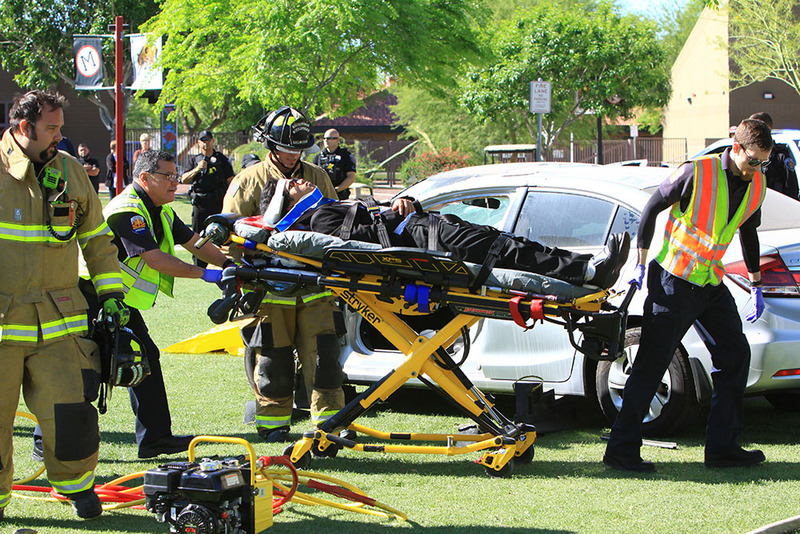 Shannon Coutre portrays a deceased crash victim during a "Don't Crash the Prom" demonstration at Maricopa High School. Photo by Jim Headley. 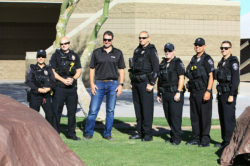 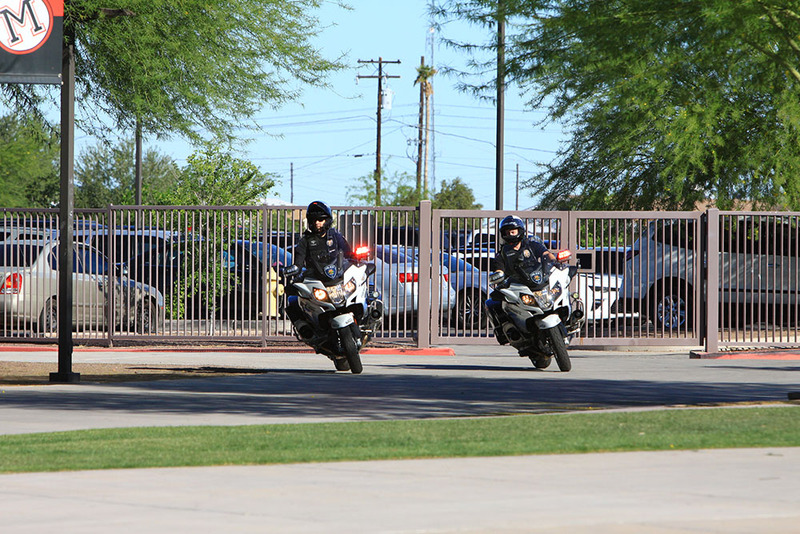 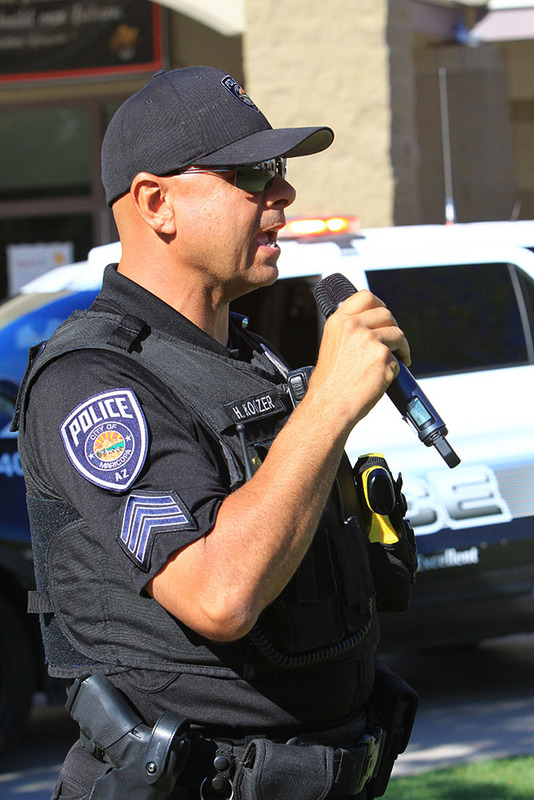 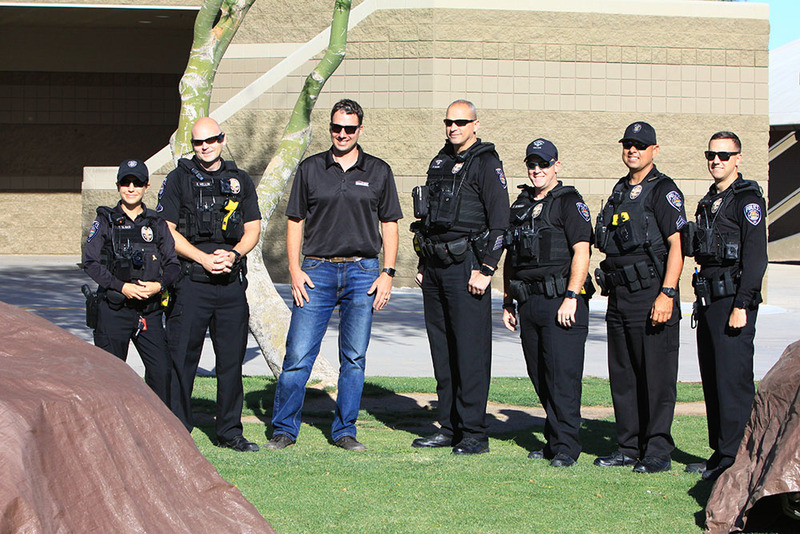 Maricopa’s first responders put on a demonstration Thursday morning for juniors and seniors at Maricopa High School on what can happen if they drink and drive at this weekend’s prom. 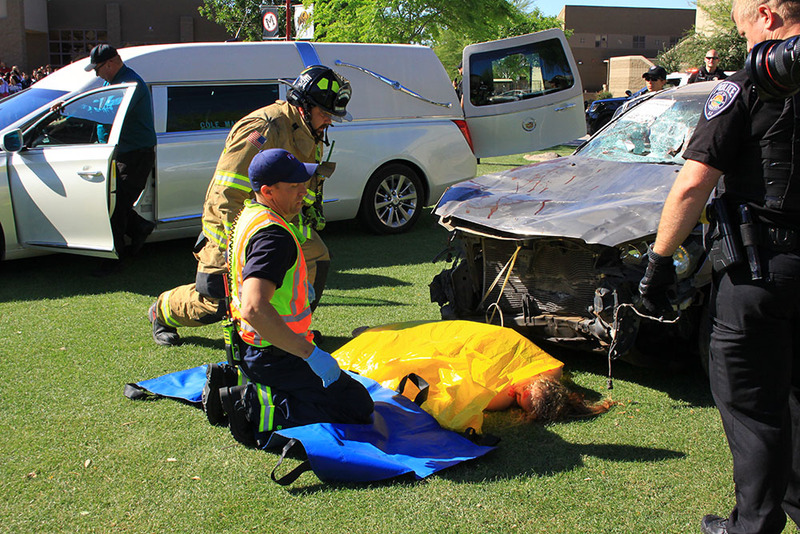 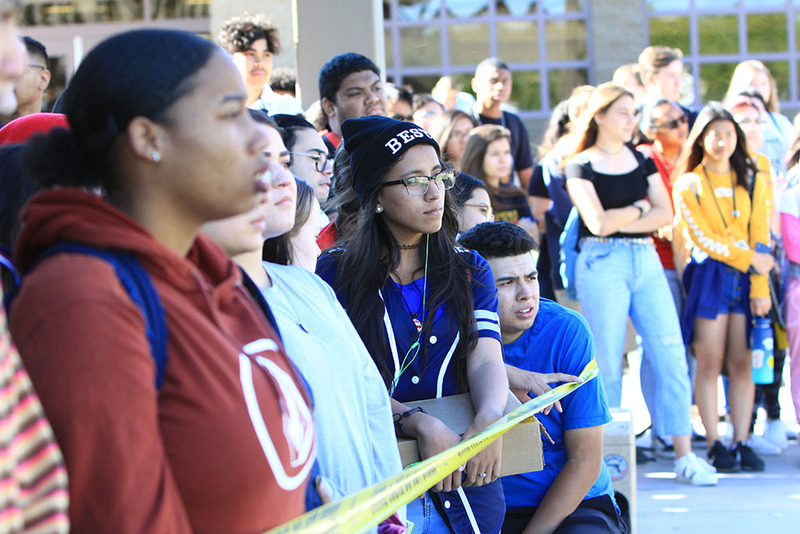 The simulated crash demonstrated how one student’s drinking and driving can forever impact their lives and even take the life of a fellow student. It was presented by Chris Cahall’s American Family Insurance. 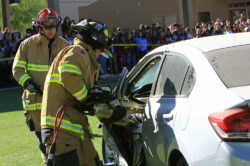 Police, firefighters, EMTs and paramedics gathered in the school’s quad with two already wrecked automobiles. 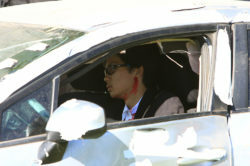 Four students played the roles of students in the crash, including one who “died” at the scene. 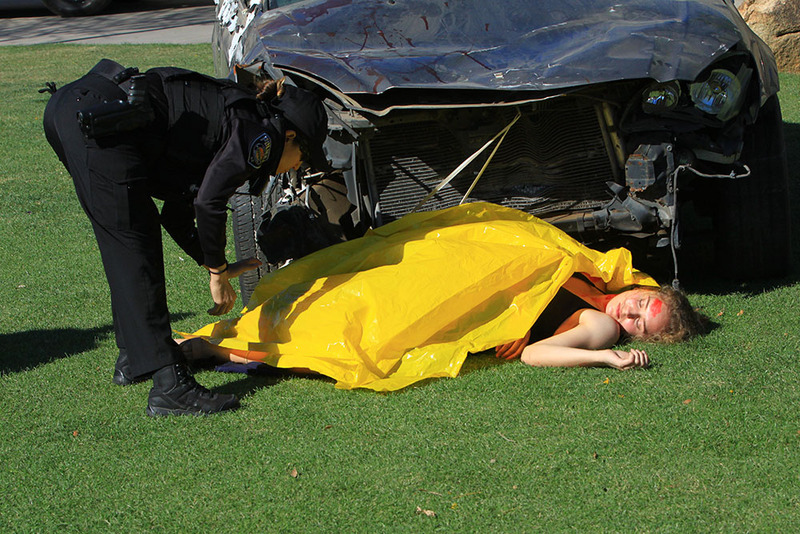 As tarps were removed from the wrecked cars, the four students were revealed and were clearly injured. One girl was ejected from the crash and found lying in front of one of the cars. 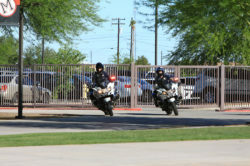 Two Maricopa motorcycle officers arrived at the scene followed by a cruiser. 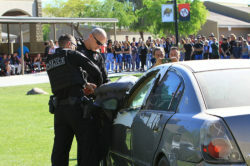 The officers checked the students’ injuries and determined one of the occupants was deceased. 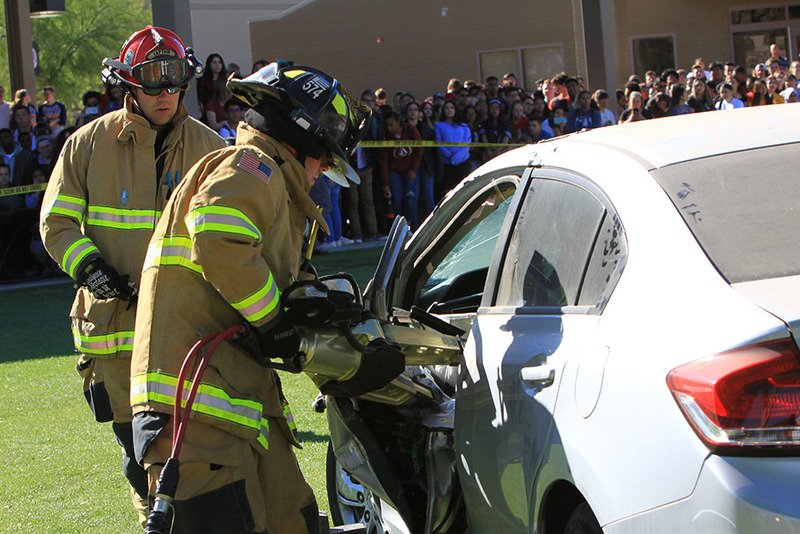 Fire and Medical responders arrived at the scene and gave simulated treatment to the students. 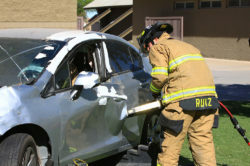 One was trapped in a vehicle and had to be extricated with hydraulic tools. 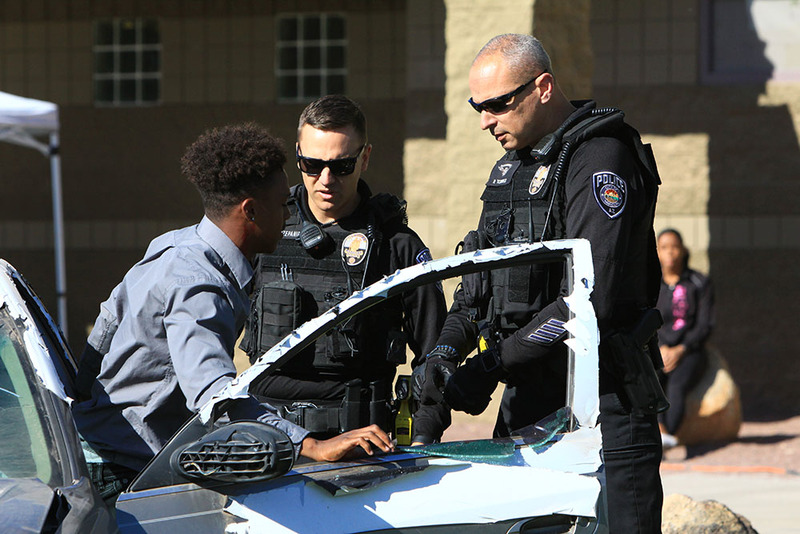 The teen who was simulated to be deceased was picked up and placed into a hearse and the drunk driver ended up arrested and placed in the back seat of a police cruiser. The entire simulation, performed to the large Maricopa student body, was to demonstrate how the simple decision to drink and drive to or from prom can forever ruin lives. Price said they need to think about each other. Price told the students they must understand the importance of this demonstration and the sacrifice of first responders. 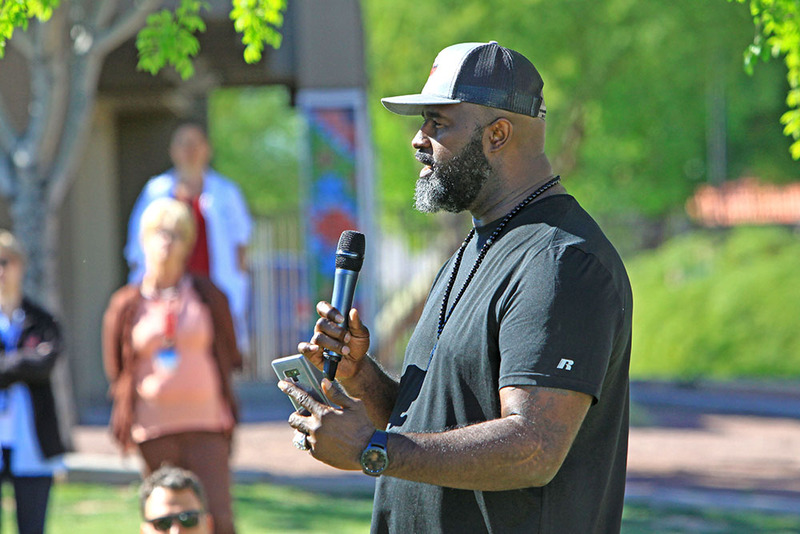 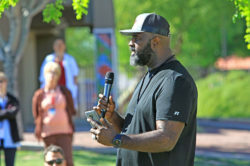 The pastor offered a glimpse into the future for the students. 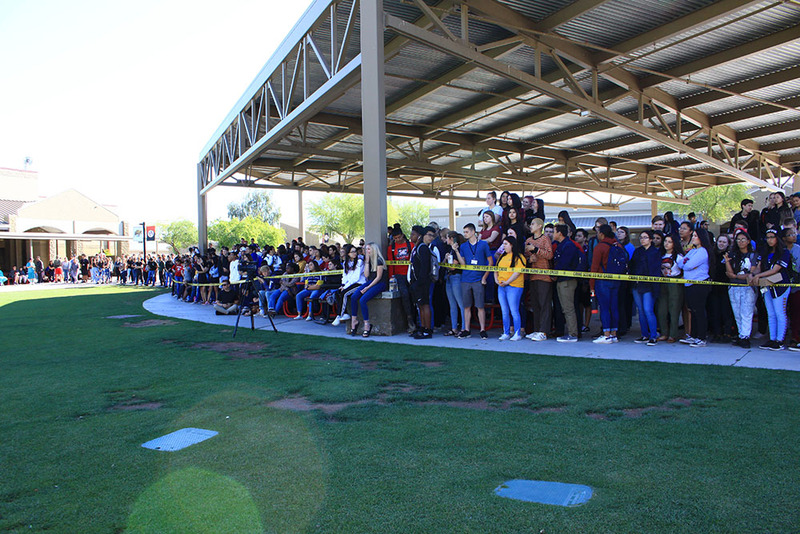 MHS Prom is April 13.